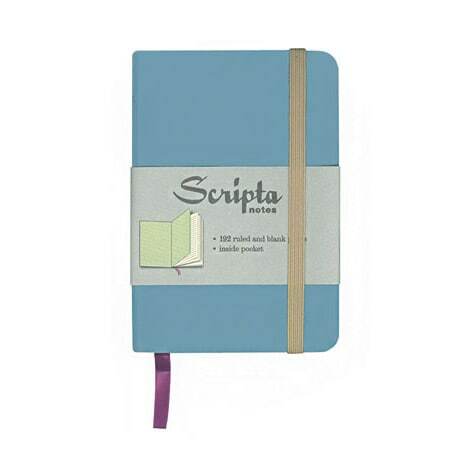 Splash your words and pictures around in this cool blue book. Stylish and elegant, with a textured hard cover, contrasting endpapers, and sewn binding, this pocket-sized journal also features an expandable inner pocket, an elastic closure band, and a ribbon marker. The cream pages are narrow-ruled on the right-hand side and blank on the left, allowing you to write and illustrate your adventures. Just over 3½ × 5 inches closed.